LiteracyPlanet is developed by teachers, with teachers in mind. It is curriculum aligned and offers a whole school solution to support the teaching of all key literacy skills, from early reading right through to advanced grammar. 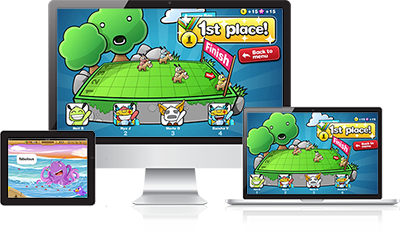 All interactive and gamified to make the learning experience motivating and fun. English teachers and literacy coordinators use LiteracyPlanet for classroom, differentiated, catch-up and extension learning. It provides the flexibility to teach the way you want to, and for each and every one of your students to develop their literacy skills in the way that best suits them. Thousands of exercises for desktop and tablet. Highly engaging environment that students love. Aligned to the National, NSW, VIC and WA Curriculums. Suitable for all abilities and all types of learners. Developed by educators and endorsed by academics. Proven to improve learning outcomes.